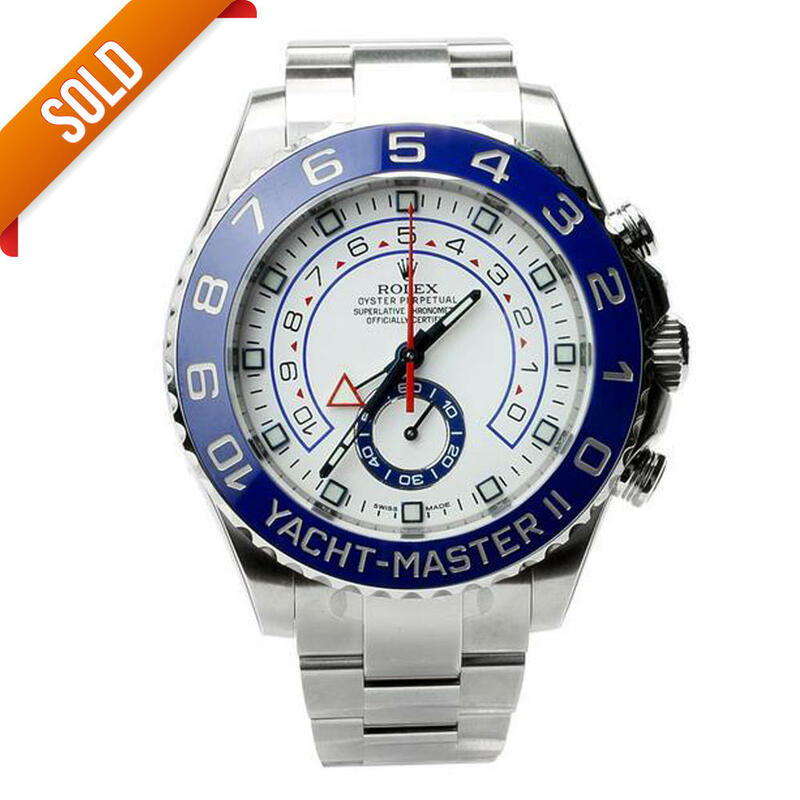 This stunning 2015 Rolex Yacht-Master ll is new and comes complete with papers, box and 12 months warranty. 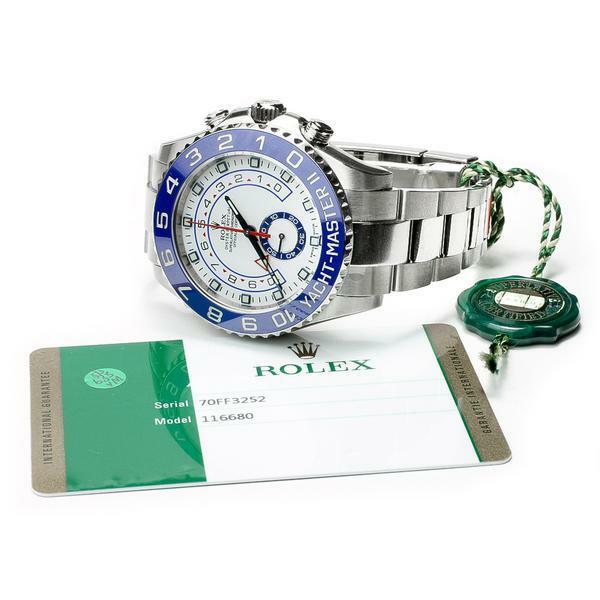 SAVE a massive £2100 on retail price! 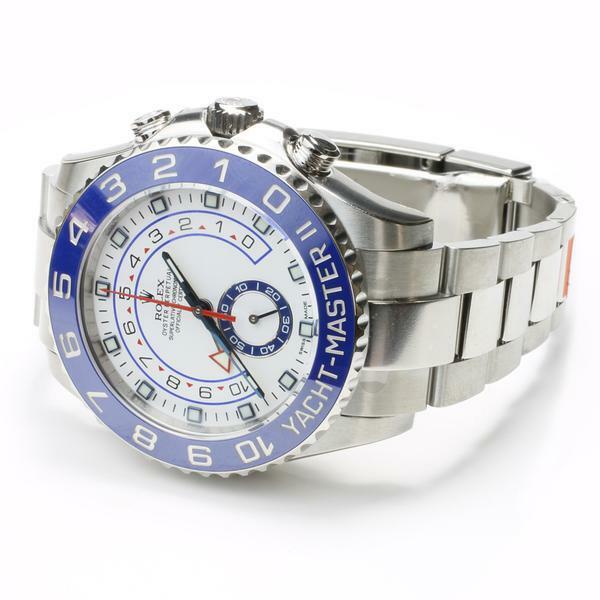 The Yacht-Master II is designed to meet the needs of professional sailors. This regatta chronograph features the world's first programmable countdown with a mechanical memory. It provides precise synchronization with the crucial starting sequence of a yacht race.